The European ATM Security Team (EAST) has been reporting the usage of insert skimmers at European ATMs for some time now. In a Fraud update published last month they stated that a new form of mini-skimmer was reported by one country, specially adapted to fit the card reader of one ATM type. This mini-skimmer, which can be seen in the image to the right, was used in conjunction with a new style of video camera for PIN compromise. 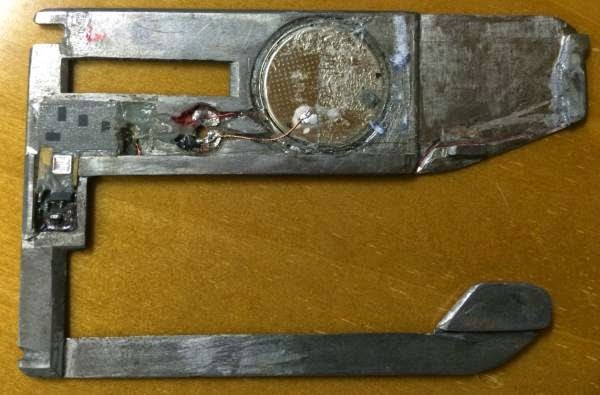 Yesterday Brian Krebs published an article illustrating the use of a different mini-skimmer first reported by EAST in an ATM Fraud alert published earlier this month (see image). 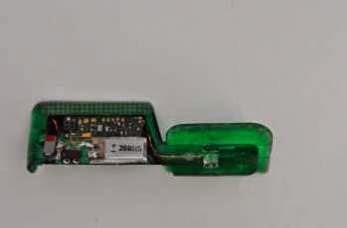 Insert or inlay skimmers are introduced into the card reader throat by criminals and are difficult to detect.